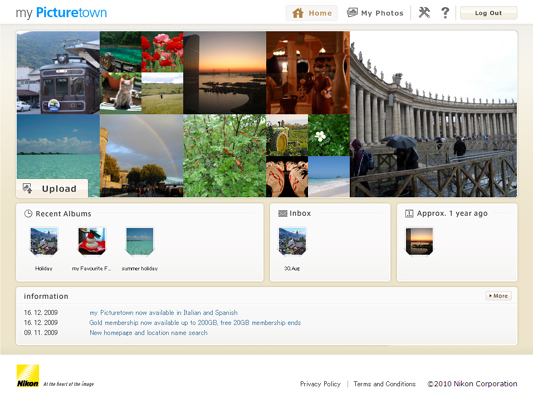 Nikon released completely new version of myPicturetown. If you don’t know, it’s Nikon’s image sharing and storage service where you can create albums with different designs and then you can share them either sending a link to somebody or sharing it on facebook. Try it’s new function to built “PhotoMovie” from your images. Combine photos, messages and music with special effects. And it’s free. It has already 1’000’000 members on the site and if you didn’t know about this service yet, it is a best time to check it out. Let us know what you think about new design! 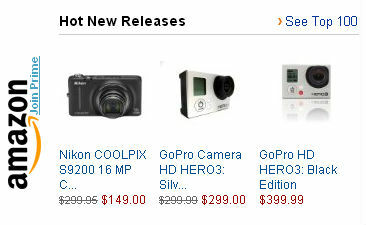 It’s good websites…who crazy about personal pictures. Same service than http://www.galleryhosted.com/ ?